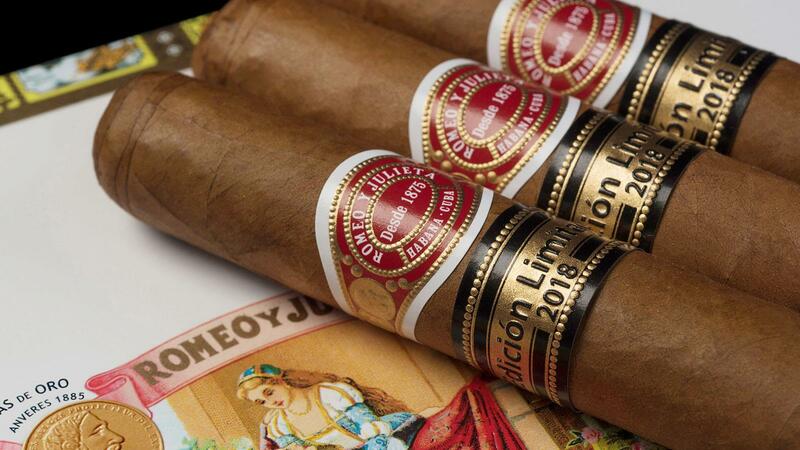 Cuban cigar enthusiasts in Spain will be the first to preview the Romeo y Julieta Tacos Edición Limitada 2018. The unveiling is taking place in Madrid and is serving as the official launch party for the new cigar, which measures 6 5/8 inches by 49 ring gauge. The size format is an old, discontinued vitola from the 1970s called Tacos Imperiales in Cuban cigar factories and was reissued for this limited run of cigars. After the release party, which will include food, music and drinks, the new Romeo will be circulated into the Spanish market on September 10. There’s no word on when the Romeo y Julieta Tacos will start shipping to the rest of the world, but typically, Cuba’s Edición Limitadas start to appear in global markets in the fall. This isn’t the first time that a Cuban cigar was released in Spain. Last November, the Montecristo Linea 1935 line was also launched in Madrid with great fanfare. The Romeo y Julieta Tacos will come presented in 25-count dress boxes and is the first of three Edición Limitadas scheduled for 2018. The other two are the Bolivar Soberano, at 5 1/2 by 54, and an H. Upmann Propios, 4 3/4 by 46. For a rating of the Romeo y Julieta Tacos Edición Limitada 2018, see a future issue of Cigar Insider.